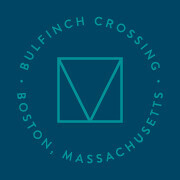 With a stellar reputation sustained over a century, we understand the distinctive challenges associated with delivering complex projects and offer unparalleled expertise to achieve our clients’ visions. 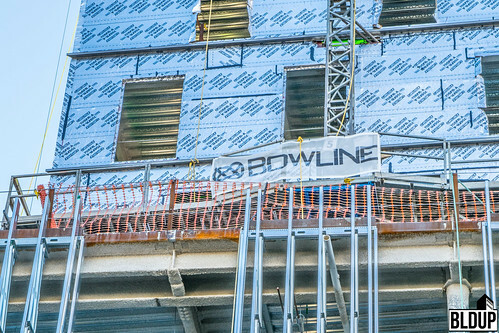 From mega developments to supertall structures to luxury residential destinations, our teams of experts work in partnership with owners, design teams and community stakeholders on every project aspect – from preconstruction to turnover – to collaboratively develop and implement optimal plans for flawless execution. 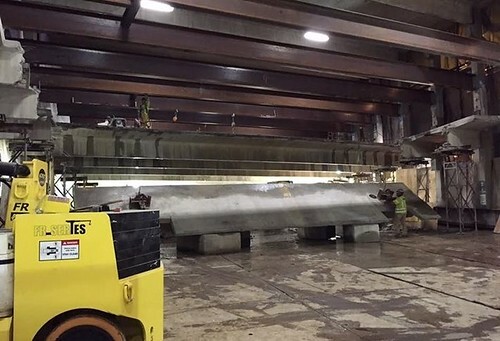 With the remnants of the old garage out of the way, work is underway to install the 53-panel slurry wall for the upcoming 44-story tower on the site. 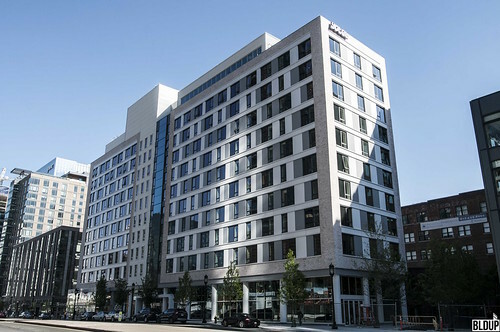 The new building is set to house 469 apartments along with 20,000 square feet of resident amenities and 2,300 square feet of ground-floor retail. The project will also include a new underground garage with over 800 spaces an increase from the previous garage's capacity. 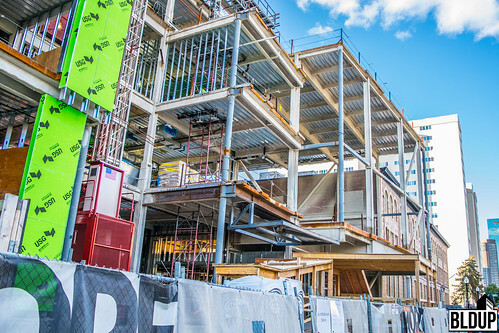 Construction is set to be complete in 2021. 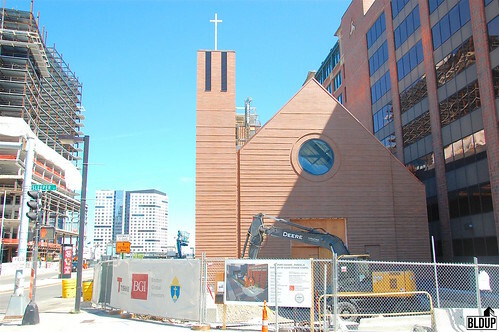 With demo complete, site work is underway for the upcoming 44-story tower that will replace the Garden Garage. 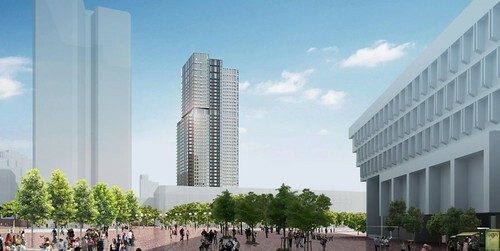 The project is set to include 469 apartments and underground parking for 830 cars. 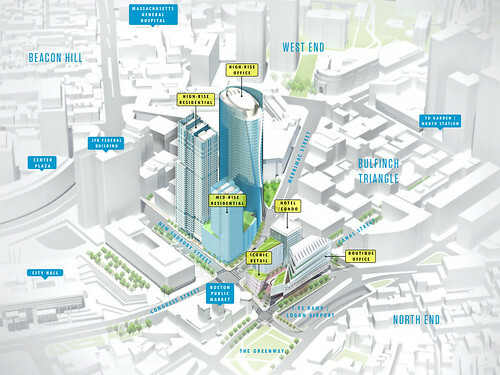 The tower will also include around 20,000 sf of common resident amenities and approximately 2,300 sf of ground-floor retail space. Construction is expected to be completed in late 2021. The MGM Springfield opened its doors on Friday (8/24) to a crowd of people ready to try their luck in the new Massachusetts casino. 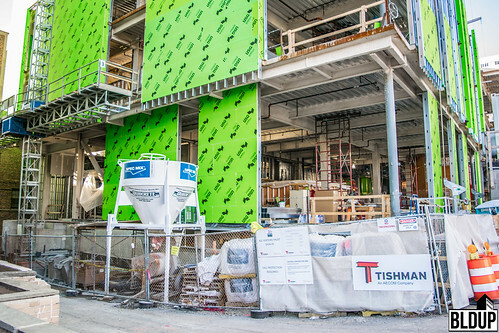 The $960 million casino and entertainment venue totaling 759,157 square-feet includes a 151,861 square-foot 25-story 250-room hotel to go along with a 126,262 square-foot gaming floor with 2,550 slot machines, 120 gaming tables, a poker room and a “high-limit” gaming area. The new attraction is poised to bring revenue and rejuvenation to the city of Springfield as it aims to build around the success of the resort casino. The casino is expected to attract people from a 75-mile radius around Springfield and within a 90-minute drive. 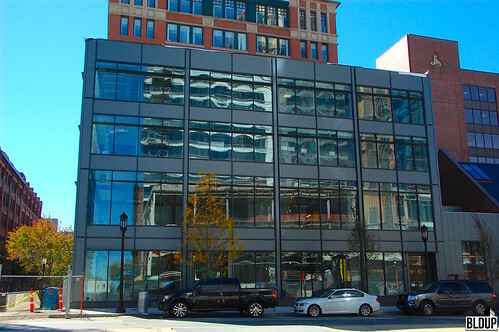 MGM expects about a third of those to come north on I-91, drawing heavily on the north central area of Connecticut. 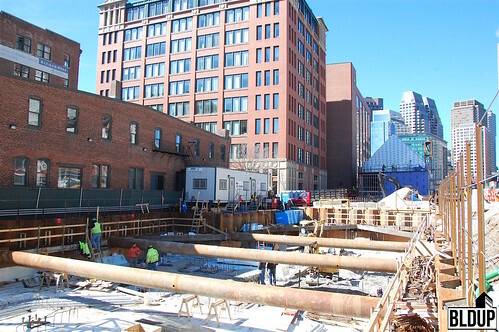 A plumbing permit has been issued for the Garden Garage development, including the installation of plumbing fixtures, plumbing equipment, and all associated piping throughout the P5 Garage Level through the 47th floor (roof). 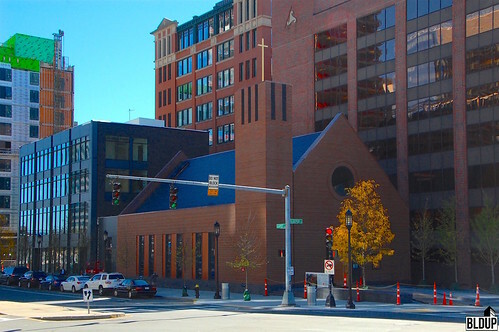 The development will consist of the replacement of existing 650-space parking garage with a 469-unit residential apartment tower. 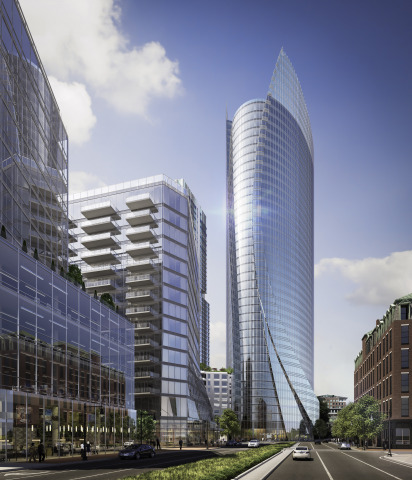 The tower will include approximately 20,000 square feet of common resident amenities and approximately 2,300 square feet of ground-floor retail space. 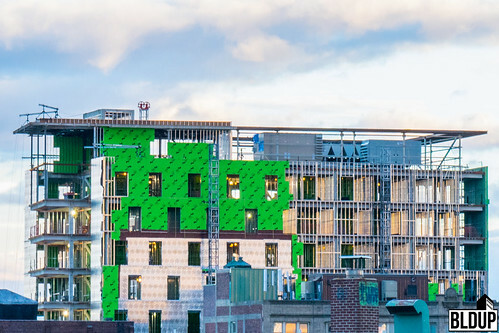 Construction nears completion on the 250-room boutique hotel, that is part of the upcoming MGM Springfield, a $960 million casino and entertainment complex in Springfield. 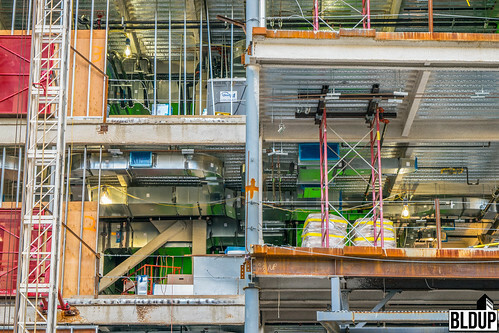 The 759,157 square-feet project will include a 151,861 square-foot 25-story 250-room Hotel to go along with a 126,262 square-foot gaming floor with 2,550 slot machines, 120 gaming tables, a poker room and a “high-limit” gaming area. The development will also include a 43,705 square-foot convention center on site as well as retail and restaurant space. 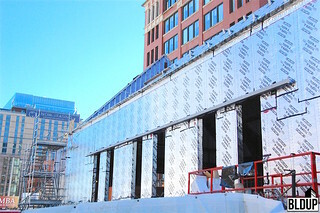 An additional retail block will feature retail space, a six-screen theater, a bowling venue and a skating rink in winter that will double as an outdoor marketplace in warmer months. 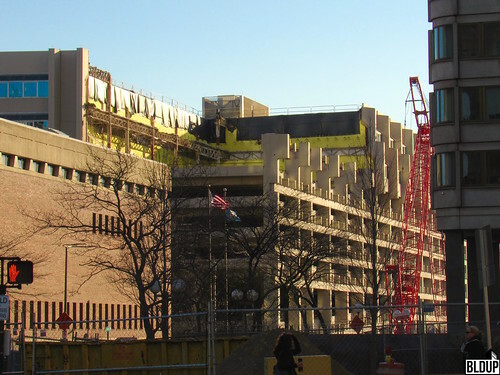 Demolition has begun on the Garden Garage in Boston's West End. 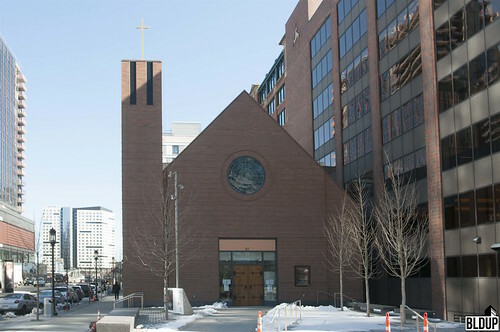 A new 44-story, 469-unit residential tower will be built on the site once it has been cleared. 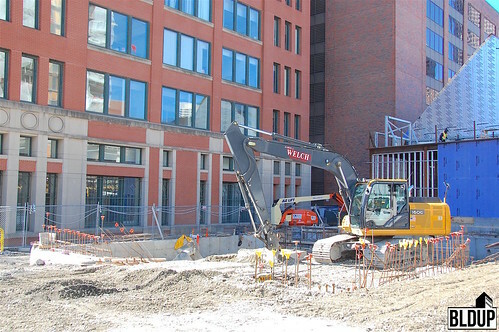 The new project will include around 20,000 sf of resident amenities and an underground parking garage with 830 spaces. 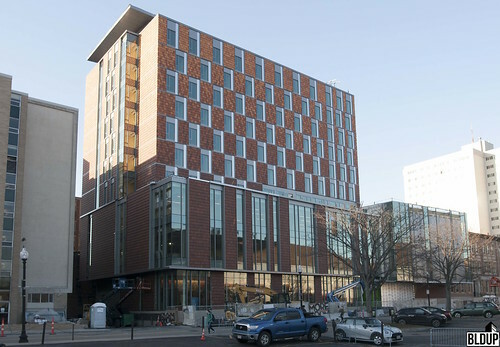 The building is scheduled to open in late 2021. 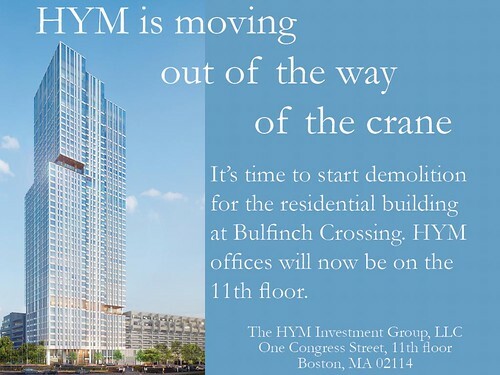 The Garden Garage, located next to TD Garden in Bulfinch Triangle, is set to be demolished this summer to make way for a skyline-altering 44-story, 447-foot-tall apartment tower years in the making. 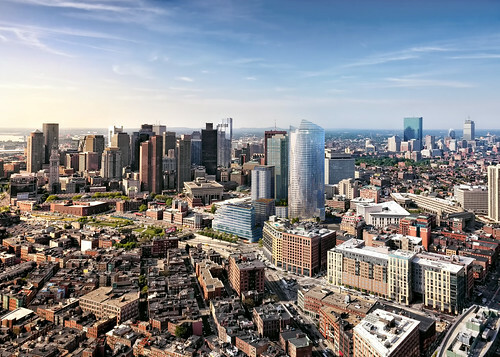 Developed by Equity Residential, the $410 million tower will be among the tallest buildings in Boston, and will replace the 650-space concrete parking garage with 469 apartment residences, along with 2,300 square feet of ground-floor retail and 830 underground parking spaces. 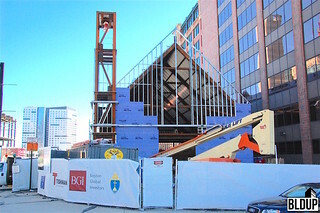 Equity expects to start construction of the tower’s foundation later this year, following demolition of the garage. 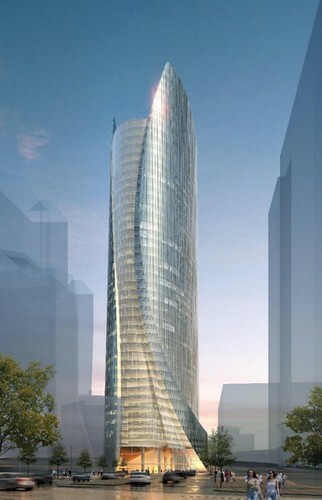 Construction of the tower will take approximately three years, with the building expected to open in late 2021. 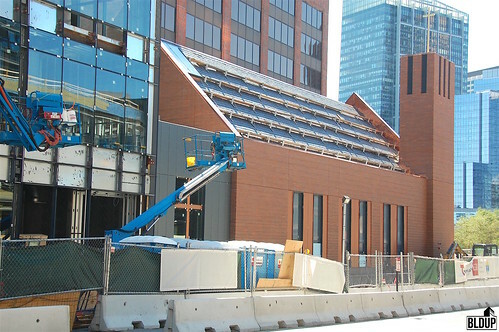 Construction of interior and exterior finishes is underway at the New England Conservatory (NEC) Student Life and Performance Center (SLPC). 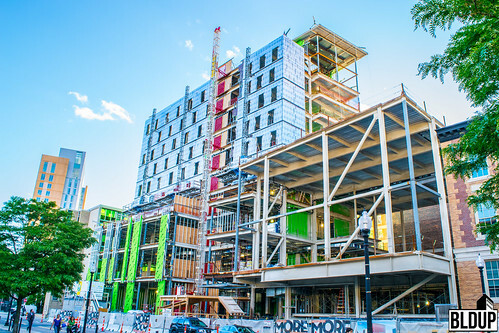 The building is topped off, and installation of fireproofing and sheathing along the facade is underway. 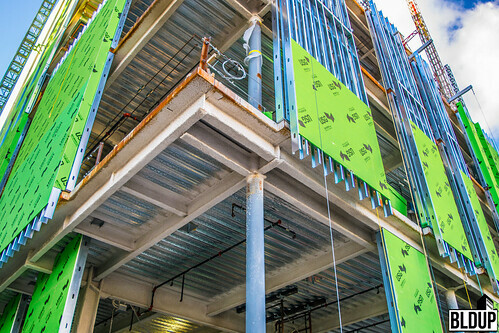 With the building topped off, the construction team is at work framing interior spaces and roughing in mechanical and electrical systems. Central air units are visible on the roof of the SLPC. 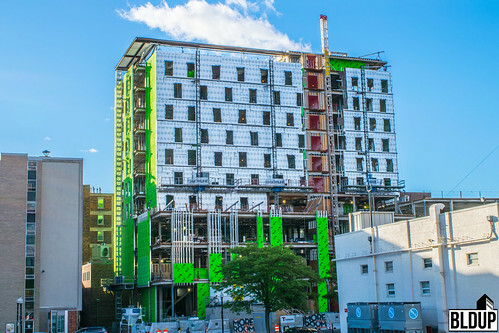 USG Securock Sheathing (green) is being installed along the SLPC’s facade to provide a moisture and mold resistant air/water barrier system. 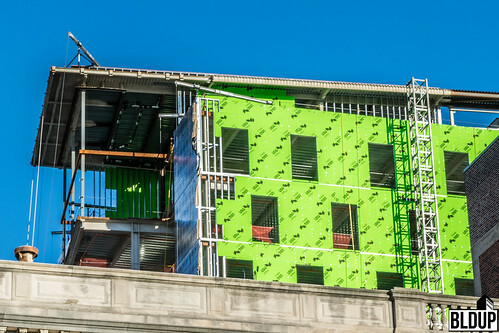 Carlisle fire resistant sheets (silver) are being installed atop the green sheathing to fireproof the building. 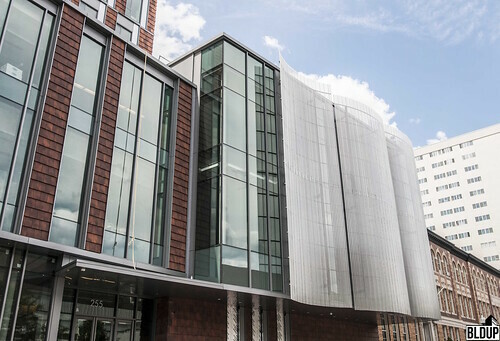 More information about the New England Conservatory Student Life and Performance Center is posted below. Garden Garage is now approved for construction. 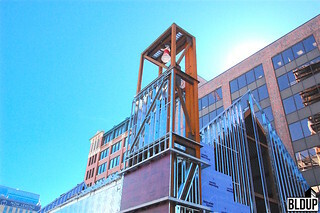 Anticipated start of construction is in June 2016. 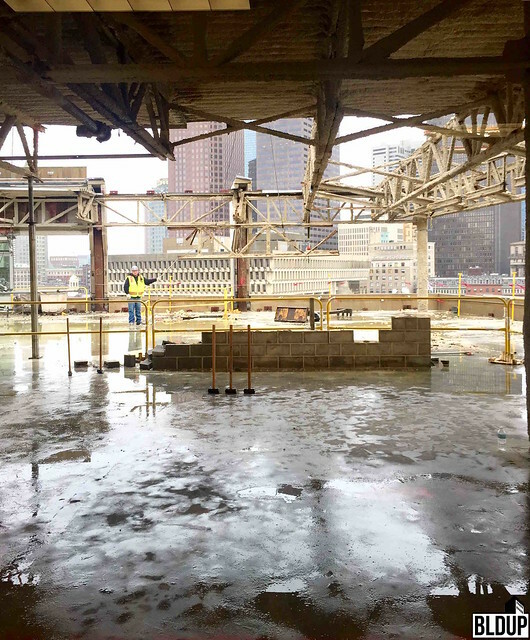 We toured the under-construction Godfrey Hotel! 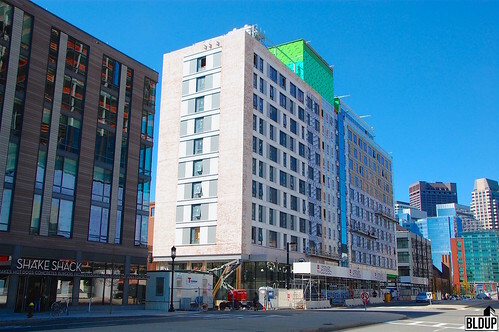 The hotel building is near completion; interior finishes and furnishings are currently being installed, and original historic details are being restored. Guests will stay in beautiful rooms designed by Gettys Group that are thoughtfully crafted, adorned with enticing artwork and well suited for an urban lifestyle. Also nearing completion are the George Howell Coffee shop and restaurant space on the hotel's ground floor. Our photographs from the tour are posted above. 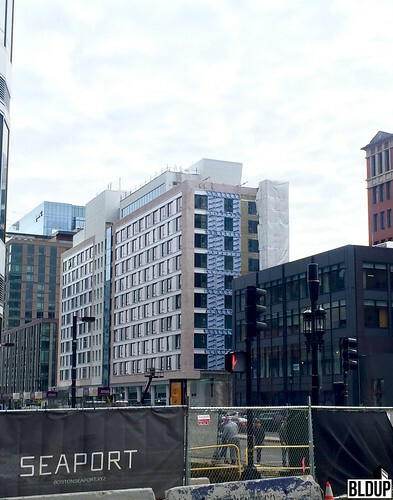 Take a inside look at Downtown Crossing's latest game-changing development! 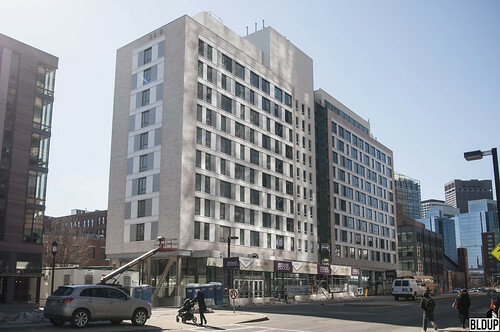 Expected hotel opening is in late 2015/early 2016.